Delete 2 keys under "SQUARE"
It works... you must have missed a step. Is there a way to enable Japanese input without changing all the game text to Japanese? I tried getting this to work on wine..
tested and working with english. after following steps by Nabutso and running ffxi-bootmod\boot.exe --lang JP from command line, then entering username and password the client doesn't seem to start. Sending Key.. Closing.. or Hairpin Fix applied! Closing.. and nothing happens. Do you need to have a Japanese client installed for this to work? I can see that boot.exe creates another PlayNasomiUS in the registry despite using --lang JP, so something isn't working. You do not need a JP client installed. If you do it all it should work. I booted up windows 8.1, tried to get Japanese working there but was still getting the same problem. "Sending Key.. Hairpin Fix applied! Closing..". So its not wine+linux..
shilanui seems to have got it working back in July, but no report on the latest version. Im using the newest launcher for both wine and windows native. Maybe theres a bug with the new one? Could someone please post its working with newest launcher to confirm ? Well I finally managed to get it to work but not without hacking the crap out of the boot.exe file. Ill write down all the steps before i forget. I created a brand new wine prefix (wine staging 3.8-i386) for the 10th time, with a new install of the game, new launcher, and followed the steps above. Note that in 32bit windows jpDLL.reg needs to be modified. WOW6432NODE needs to be removed from the paths and any path with " Program Files (x86) " be changed to "Program Files ". End result of the reg file will look like this for windows 32bit. If using windows 64bit there is no need to do this. All I did was open boot.exe in a hex editor and went to the strings section. The section that starts at the offset 032809 bytes. 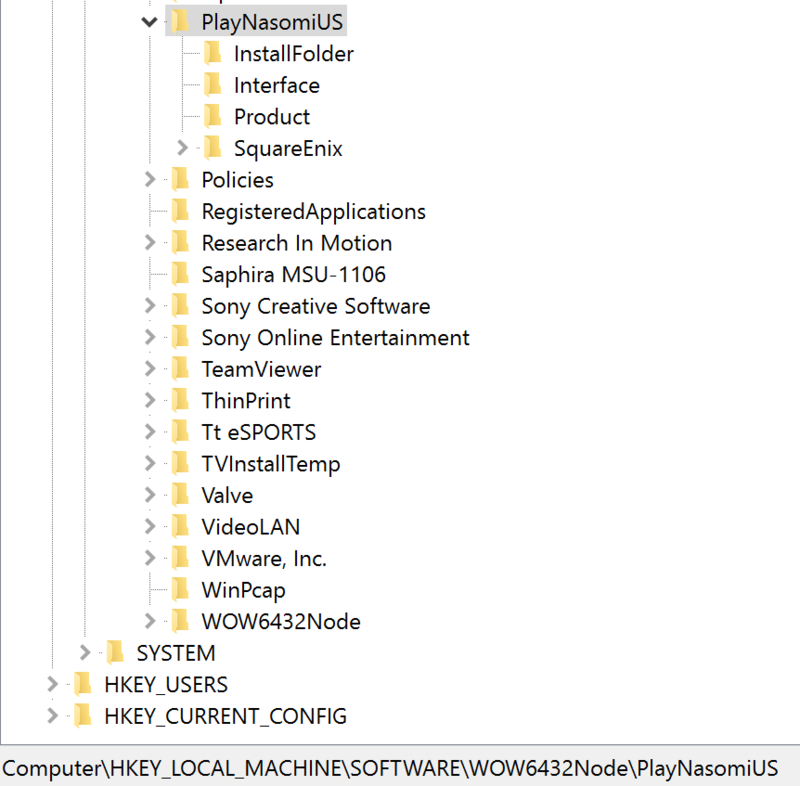 Replaced any instances of "PlayNasomiUS" and "PlayNasomiEU" with "PlayNasomi", replaced any instance of "SquareEnix" with "Square". In the "Settings" key I added a DWORD with name "Language" with value 0. Then I started the game with "boot.exe --lang JP" and was miraculously able to boot in Japanese. The strange thing is in the registry PlayNasomiUS still gets made, and the game uses the graphics and pad config from there.